Talk ‘N Text walkout: Was it right? The PBA was founded in 1975. Since then, of the thousands of games played the past 35 years, no team, except one in 1990 by Añejo Rum and Robert Jaworski, has ever walked out. Until last Friday. Barely 11 minutes had passed in the first quarter when the Talk ‘N Text player Ranidel De Ocampo elbowed the head of a driving Ronald Tubid of Barangay Ginebra. The referee blew the whistle. In that Game 4 of the best-of-five quarterfinal series (with TnT leading 2-1), De Ocampo was charged with a Flagrant Foul-2 (which means “any hard contact above the shoulder”). He was ejected and would not play, if ever there was, a Game 5. Chot Reyes fumed mad. The head coach of TnT could not accept the decision. He concluded that the referees were biased against his squad–not just in Game 4, but in all the previous games. After that foul was reviewed on videotape and the decision upheld by the referees, Reyes, having consulted team owner Manny V. Pangilinan, who was in attendance, collared his team and marched towards the dugout. Negotiations ensued. The PBA commissioner, Sonny Barrios, pleaded for their return. Minutes passed. Finally, when it appeared that Chot Reyes wanted to play, it was too late. The PBA ruling states that any team that leaves the court is given only seven minutes to return; otherwise, they forfeit the game. 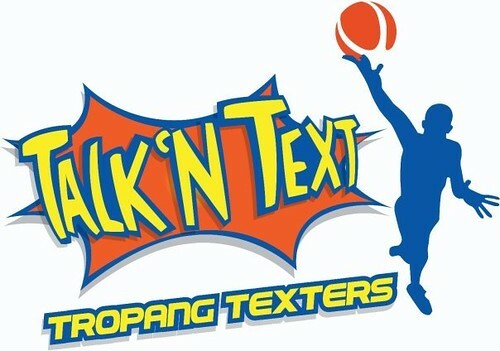 Game over for Talk ‘N Text. Two days later, the Tropang Texters reluctantly came back for Game 5 and, possibly feeling deflated, lost 113-110. Ginebra advanced to the semis and last night played (and lost Game 1 to) the top seed, Alaska Milk. In the other semis, it’s San Miguel Beer versus Purefoods Giants. Why did MVP’s team walkout? They argued that De Ocampo should not have been meted a flagrant foul-2. (I reviewed the replay on YouTube and, true enough, the decision was questionable.) But more than that episode, TnT believes the overall officiating was biased. One specific complaint was Ginebra having been “awarded” too many free throw attempts (from Games 1 to 3, Brgy. Ginebra had 42 vs. 28 from TnT). Biased officiating, they protested. But here’s the question: Was their form of protest the correct thing to do? From the viewpoint of the fans–the thousands inside the Araneta Coliseum that evening who only saw 11 minutes of game time to the tens of thousands more watching on TV–it was upsetting. I agree with Dennis and Bill. The biggest losers, apart from TnT itself who, despite a 2-0 lead, lost three straight games (and were fined P1.25 million), were the PBA fans. TnT’s act was emotional. It was reactive, not objective. It was an outburst derived from their sense of outrage. They were exasperated. But was their exit justifiable? No.